She emerges from the shadow of a doorway. Her hair is impeccably glossy, arranged in a high chignon. The white band of her under-robe sets off the simple pattern of her dark silk kimono. One half step behind her, a broad-shouldered, besuited man comes into view. His black umbrella shields her from the steady rain. 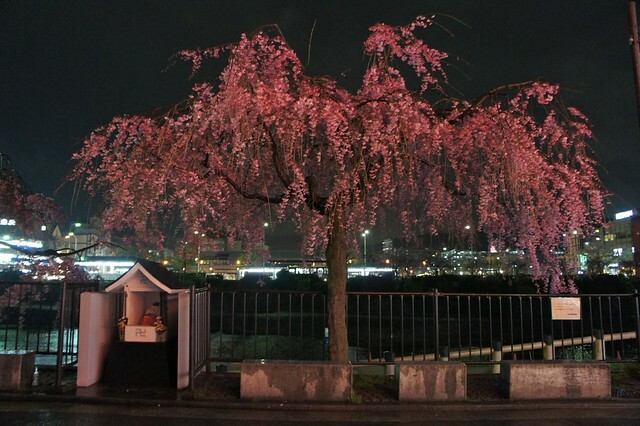 Within a fleeting moment, they disappear into another darkened doorway. A senior geisha and her minder, rushing between engagements. Fake geisha (tourists playing dress-up) tread slowly and cautiously in their rented okobo. They pose for photos for you. Real geisha move so quickly that they appear and then vanish before you can react. 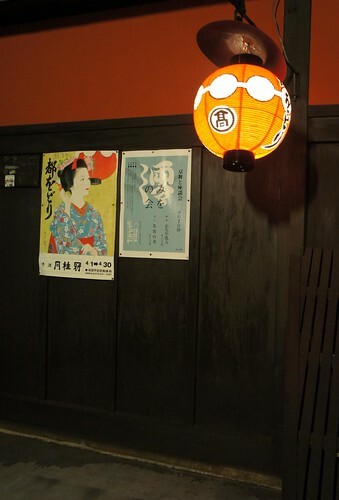 Pontocho (先斗町) is all atmosphere. 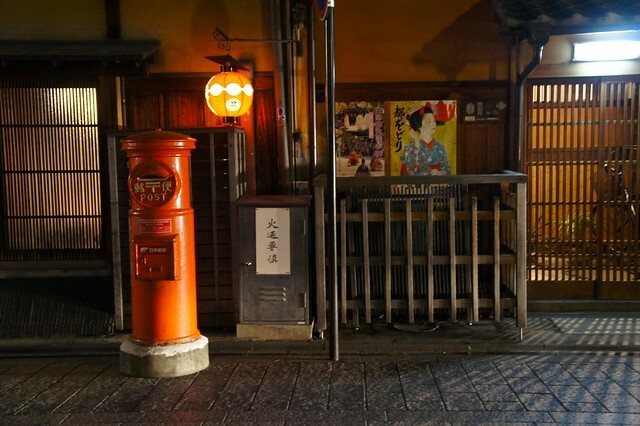 This narrow sliver of Kyoto has been a centre for entertainment since the early 1700s. 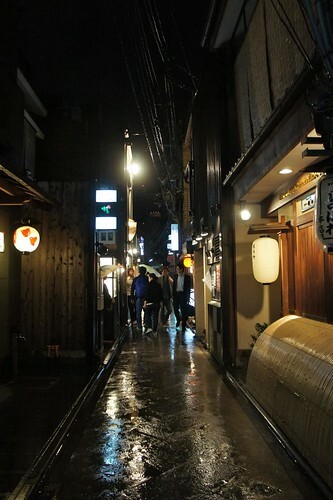 Little more than an alleyway, it stretches from Kawaramachi to Sanjyo, just west of the river. 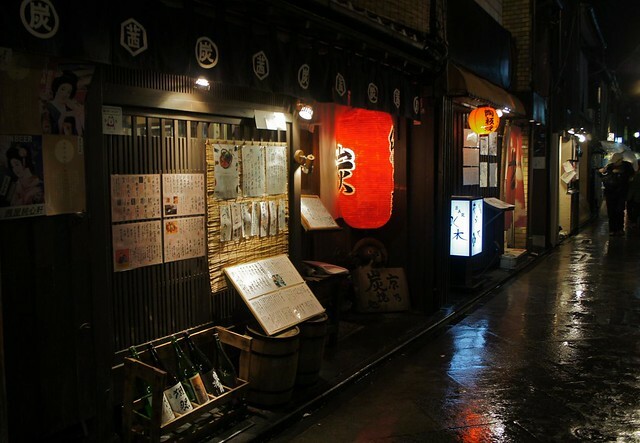 Paper lanterns, cobblestones, latticework and neon signs: it all looks even better with the sheen of the rain. 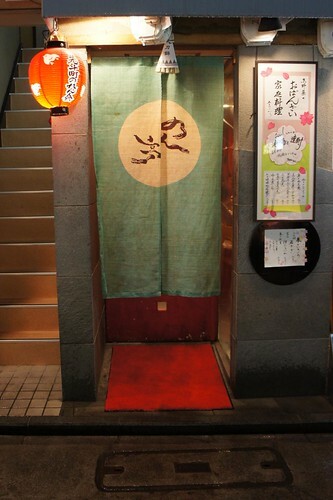 The restautants of Pontocho range from cheap bars to exclusive, high end Kyoto cuisine. Forunately, most display a menu at the entrance to allow for a discrete inspection of the prices before you make your choice. 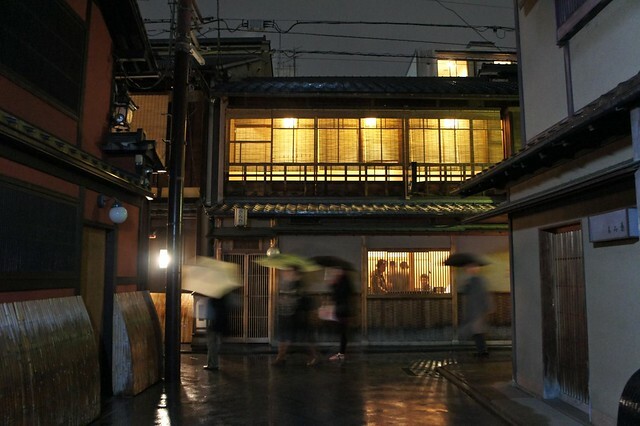 If you have one night in Kyoto, go to Pontocho.